This squash-like fruit is often consumed as cooked vegetable. Furthermore, you can use raw as well as canned pumpkins. In fact, you can add canned pumpkins in soups, breads, muffins, puddings, pies, and other baked goods. Pumpkin recipes are particularly popular for Halloween and Thanksgiving. It is interesting to note that apart from pumpkin flesh and seeds, you can also consume pumpkin leaves and flowers. 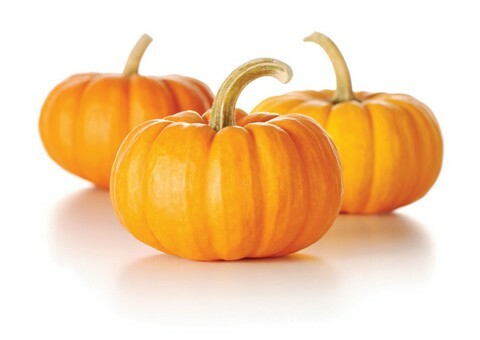 Being rich in beta carotenes, pumpkins can help reduce the chances of developing heart disease and delay aging. Furthermore, the carotenoids present in common large pumpkins strengthen the immune system, protect against certain types of cancers like that of bladder, colon, skin, breast, etc., and decrease the risk of macular degeneration and cataracts. This fruit supports the kidney and bladder (prevents the formation of kidney stones). In addition, it improves digestive health, lowers blood cholesterol, reduces hypertension, and prevents osteoporosis. Plus, it is good for those suffering from diabetes because it has hypoglycemic substances. It boosts the insulin levels and lowers high blood sugar levels. Moreover, pumpkin seed oil and tea are useful in the treatment of Irritable Bowel Syndrome, enlarged prostate, cystitis, and urinary tract infection. Besides, the fruit has antioxidant and mild anti-inflammatory properties. Pumpkin seed oil contains linoleic acid, which improves brain function, and gives you healthy skin and hair. In addition, consuming a teaspoon of this oil three times in a day can reduce hair loss and male pattern baldness. It is best to buy whole pumpkins rather than sections of the fruit. If you need a pumpkin for cooking, then pick a small to medium sized “sweet pumpkin” or “pie pumpkin” as it is smoother and less stringy. It should be firm and heavy for its size. Avoid choosing a pumpkin with wrinkled skin. Plus, the stem should be at least an inch long; the ones with stems cut down tend to decay soon. Needless to say, do not select the ones with soft spots, cracks, and blemishes. As for storage, you can store it at room temperature in a cool and well-ventilated place for several weeks, up to two months. Cut sections, however, should be wrapped in a paper towel or greaseproof paper, stored in the refrigerator and used within a few days. Preferably, remove the skin and seeds before storing in the refrigerator. When cutting the fruit, you can remove the stem and then slice the fruit into two halves with the help of a sharp knife. Next, scoop out the seeds and fibers, and cut the fruit as you desire. Make sure you wash the fruit beforehand. To separate the seeds from the pulp, you can rinse the seeds in cold water. You may roast the seeds and eat as a healthy snack. You can find hulled or semi-hulled pumpkin seeds at grocery stores. Though rare still, pumpkins may cause allergic reactions in children. Besides, although pumpkin seeds are fit for consumption yet taking large amounts of pumpkin seeds may cause an upset stomach and stomach ache.